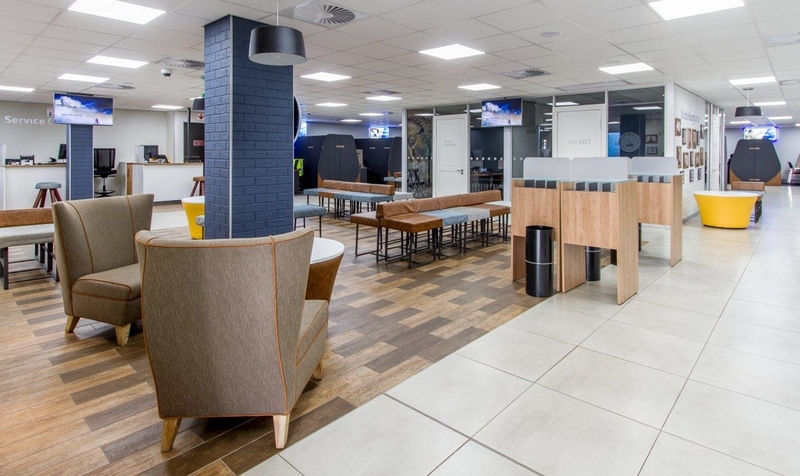 Standard Bank – with Solid Green’s aid – continues the greening of its branches, with the Middleburg branch in Mpumalanga being awarded a 4-Star Green Star SA Interiors v1 As-Built Rating, demonstrating Best Practice, in March/April 2017. Standard Bank Middleburg has – in March/April 2017 – achieved a 4-Star Green Star SA Interiors v1 As-Built Rating, demonstrating ‘Best Practice’. The branch is in Standard Bank OR Tambo Shopping Centre, within walking distance of both bus and taxi stations, providing alternative commutes for staff and visitors.